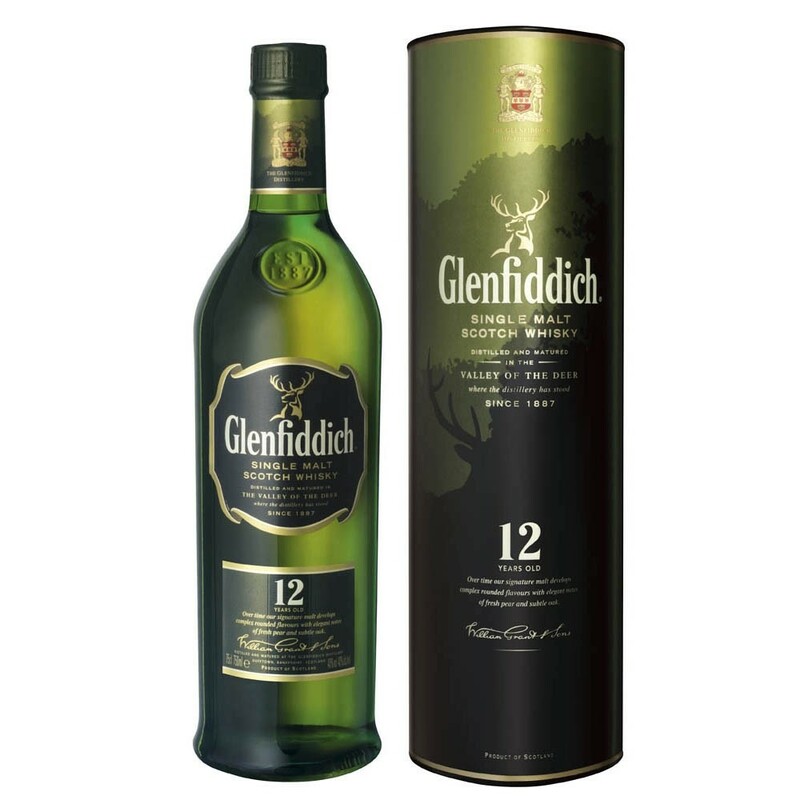 One of the world's best-selling malts Glenfiddich 12yo's famous triangular bottle (70cl)is a fixture in practically every bar on the globe. A light and fruity single malt distilled and matured in Speyside. This classic Speyside from Glenfiddich was the Winner of a Gold Medal at the 2007 International Wine and Spirit Competition aged for 12 years in American and European Oak casks.